Carefully crafted, yet bold flavored. Rooted in tradition, yet adventuring into contemporary tastes. 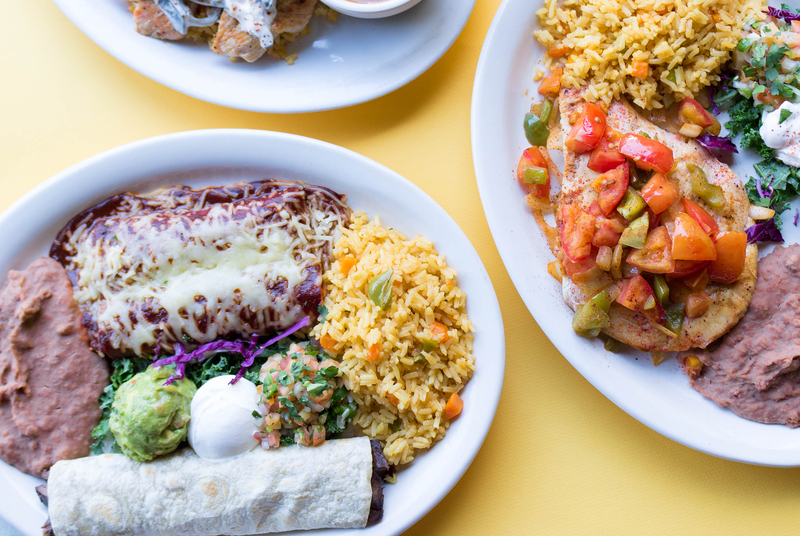 We blend the earthy flavors of our native Mexico with worldly ingredients and creative cooking techniques to create the modern Mexican cuisine at La Tapatía. Our hospitality is warm and Latin. 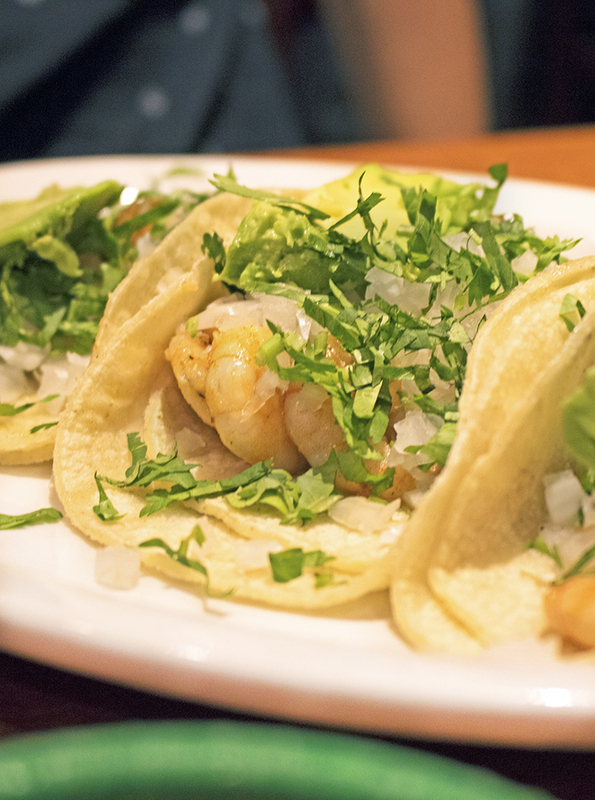 We welcome you to linger over drinks, rediscover Mexican classics – tableside guacamole, tacos with authentic fillings and fresh-made tortillas – and savor our signature dishes. 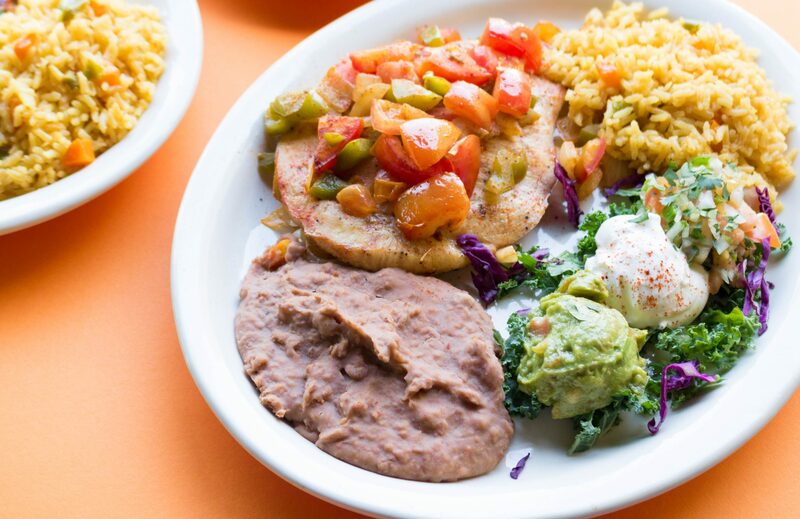 A Mexican breakfast is the perfect start to any day and La Tapatia is here to accommodate with a great selection of Mexican breakfast favorites. 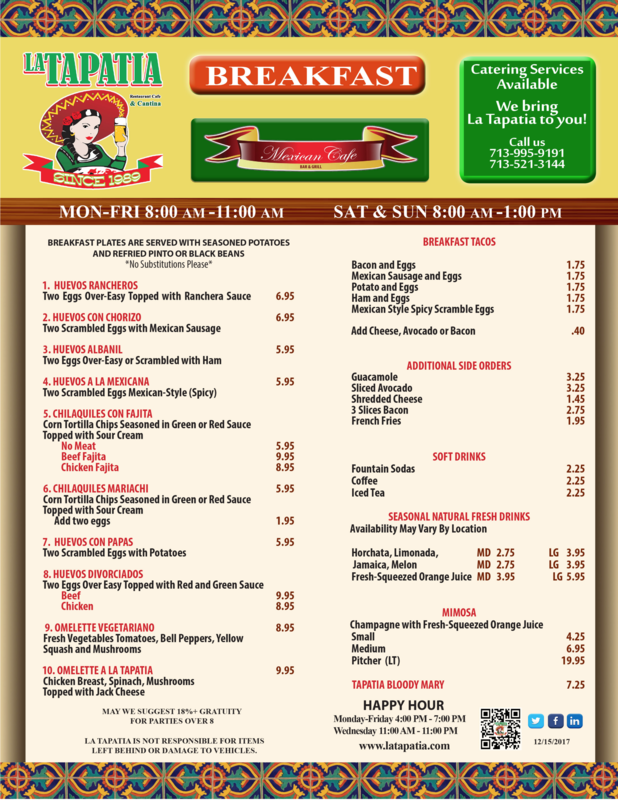 We offer a large selection of traditional breakfast items as well as our one-of-a-kind Fajitas for Two. Stay tuned for more breakfast specials. To learn more about our breakfast items, stop into our restaurant or contact us by phone or email. 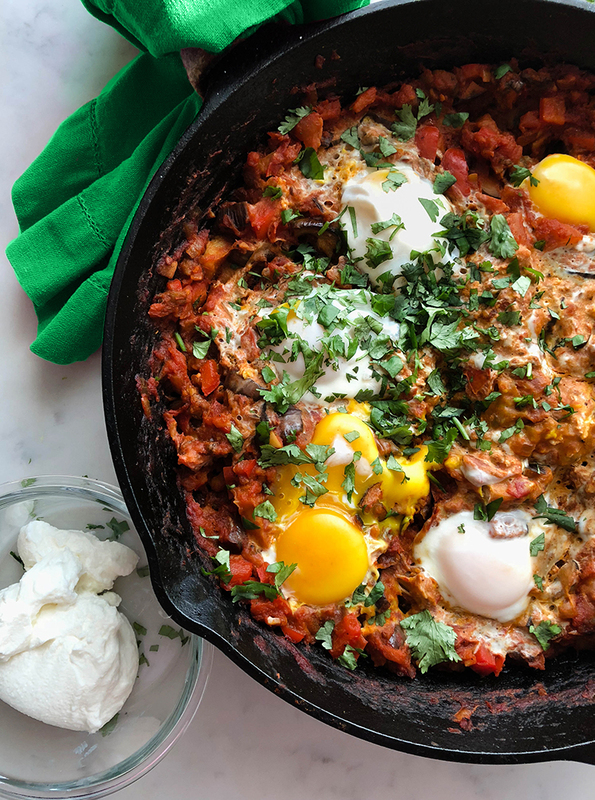 Despite all the attention paid to brunch, lunch is truly the unsung hero of midday meals. It provides us sustenance to make it through a boring work day, provides an opportunity to drink before dark, and most importantly, it's much cheaper than dinner. 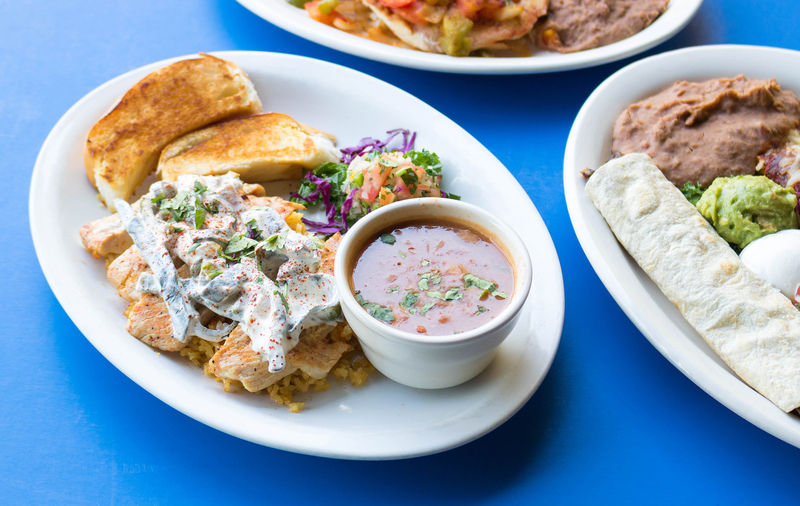 When the lunch hour strikes and you're craving authentic Mexican food, stop by and savor a special meal at a special price! Come in, relax, and enjoy delicious lunch and dinner specials that are prepared by expert chefs and set at affordable prices. Rough day at the office? 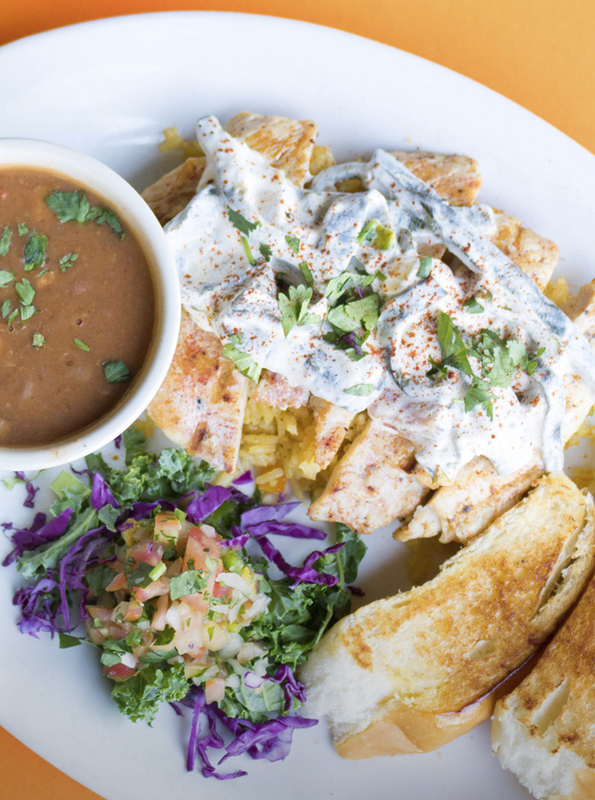 Treat yourself to our daily dinner specials. 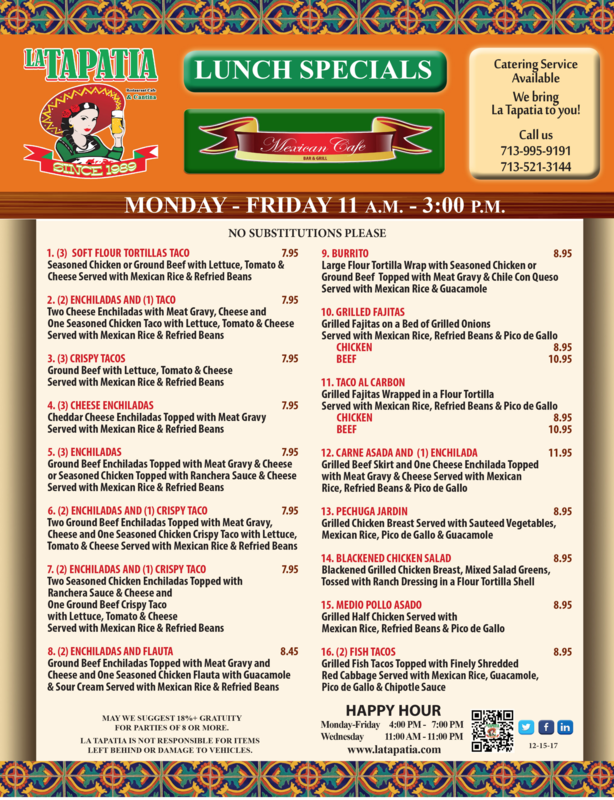 After the work day is over, come on by and enjoy some of the best Mexican food Houston has to offer.